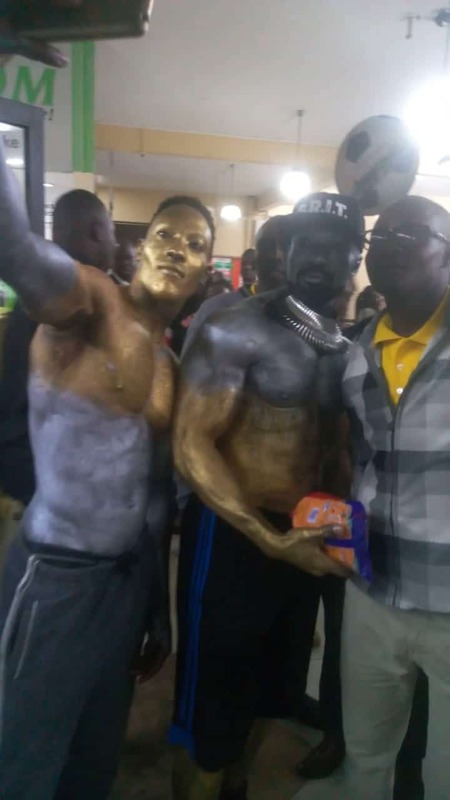 Shoppers at Tuskys supermarket in Nakuru were treated to a delightful surprise when two half-naked sinewy men walked into the supermarket bringing everything to a halt. 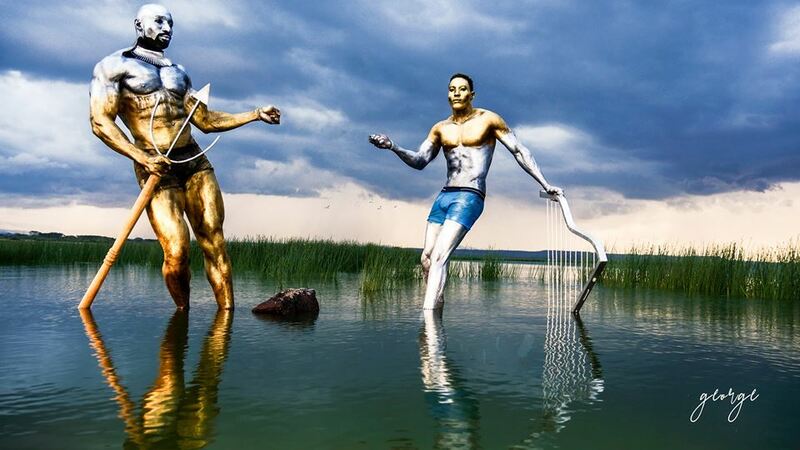 The two men with chiseled abs and toned bodies were covered in acres of paint and identified themselves as ‘Aliens in a supermarket’. Their sensational show first brought shock and confusion – understandably because they looked like actors from Black Panther. 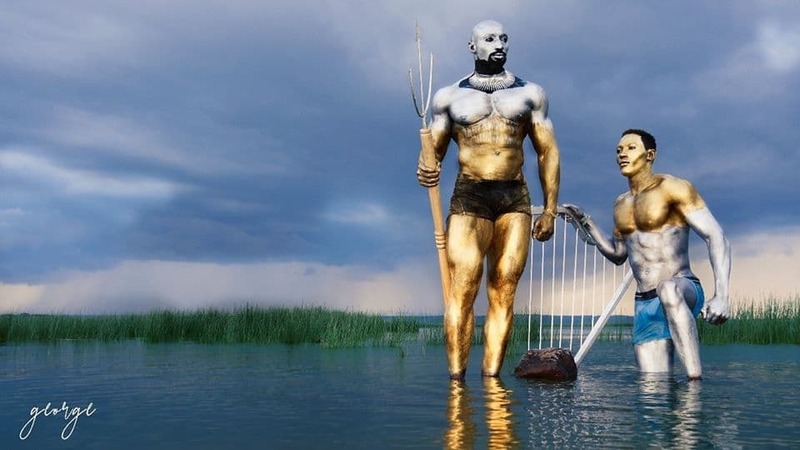 According to E-daily, one of the men in the video has been identified as Wilson Munene– a Kenyan celebrity fitness trainer and renowned model to boot. He was flanked on the side by a personal friend Kevoh tha Fitness who also basks in the glory of his achievements in the fitness world. After the shock of the two ‘aliens’ wore off in the shopping mall, excited shoppers took turn to pose for photos with the two. It was later discovered that the two models had come from a photo-shoot, and decided to buy some snacks to re-energise before going on with the day’s activities. Munene later admitted that he also used the chance to market his fitness brand, Wilson Munene Fitness. “The main aim of the viral video was to actually to promote my health and fitness brand but we are also targeting groups and corporates who want to push their brands further,” he said.